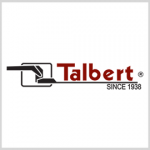 Talbert Manufacturing has secured a potential five-year, $360.2M contract to produce M872A4 semitrailers and related materials for the U.S. Army. Work is scheduled to conclude on Jan. 16, 2024, and Army Contracting Command will determine funds and location details with each order under the firm-fixed-price contract, the Department of Defense said Thursday. M872A4 is designed to handle large containers and breakbulk cargo. Rensselaer, Ind.-based Talbert manufactures heavy haul trailers and specialized transport equipment for government, military and commercial customers.